Hmmm, I'm getting my mobile service contract renewed soon and I will be getting this for free. From what people have posted, sounds like it's pretty much an aesthetically-pleasing phone but with average features. 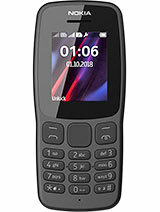 I think its a fashionable and easy to us phone, and quite appropriate for regular use., including SMS, calling, photos, and basic emailing etc... the keypad design is nice and the shape is sleek and aesthetic.. I LOVE IT!!! this phone looks nice but it's camera isn't good and the memory is too little. i oso same.i see first not nice.i see 2nd become a bit nice.then i buy all fren say veli veli nice one!! !i so veli veli like one dis fon...soooooo chun!!!!! if can i sur one buy 4 all my flens....i luv u all!!! mmmmmwah!!! i just bought it.its a nicest fashionable phone for middle price,not too expensive.32MB shared memory and got louspeaker for radio and call too.Photo quality good but the memory less.however,i stil like the phone cos i seldom download things to my phone. would like to know the actual price . its memory space, picture quality. This phone is very nice... when i first see also feel not nice..but after i bgt it a lot of my friend saying this phone very nice!!! how much memory does the nokia 7260 have!!!!?? Can Any 1 tell me does this HP got loudspeaker? How much is the memory N how to share the memory? love the design,good for fasionistas..has good camera too,too bad it does not have bluetooth. The 7260 only has about 1.6mb memory space which is quite poor! you wouldnt be able to keep many pictures or videos which in my view would make this phone pretty boring in the long run. The old 6610i has 4mb and its an average phone these days. This should really have at least 6mb memory space or more to make better use of its features. Why does nokia make higher class phones with little memory space?? what is this!!? some kinda CHANEL compact?! ?